There’s no time like the present to explore and enjoy the lush county of Caithness! Home to a rich history and a diverse landscape, Caithness is a paradise for those who travel in a happy home on wheels! 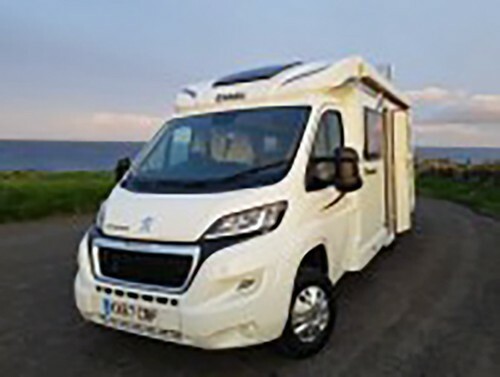 Just log into your Camperbug profile and speak with the motorhome owners in Thurso, Wick, Scrabster, Dunbeath, Dunnet, John O’ Groats, and more! If you own a motorhome, why not rent it out and earn? Get in touch with Camperbug, and we’ll do the rest. Set in the northeastern region of Great Britain, the historic county of Caithness is mostly land bound by the province of Sutherland and the North Sea. Set beyond the highlands, the county of Caithness comprises of flat agricultural land with breaks of peat lands and delightful lochans. The largest towns are Wick and Thurso. Placed on the River Wick, town Wick contains a large harbour facing the North Sea while River Thurso and the city of Thurso lie on the north coast. Thurso’s port is named Scrabster and serves as the prime passenger and commercial harbour connecting Great Britain and Orkney. The county’s history has deep roots with Orkney and Norse. The northernmost point of Britain called Dunnet Head sits within the county. Grab a ferry and bring your motorhome hire along for a fun tour of Caithness! I am Neville, hire me today! New modern well equipped motorhome. 4 berth with 2 front swivel seats and 2 folding seats to rear all with seat belt . Our motorhome is situated in wick, the ideal place to start your highland adventure . There is lots to do from all the little towns and villages to the Scottish mountains or visiting the many Scottish breweries.